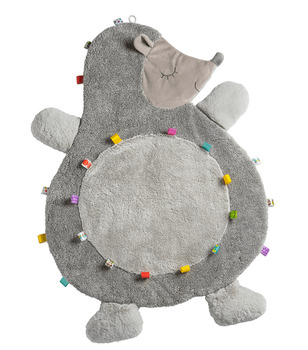 Here's a twist to our top-selling Animal Themed Play Pads. Introducing Ribbonz Baby Play Mats! This exciting new style features colorful, stimulating looped "Ribbonz" that satisfy baby's natural desire for tactile exploration and stimulation. These tactile critters are super-soft and are a generous 31 inches in size. They are fully machine washable with damp dry. Play pads are easily packed for use on the go. Choose from a selection of four delightful animal characters. Click on the More Images tab above to see all the different padded pals available!